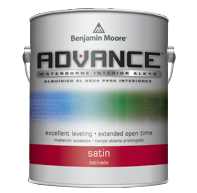 We get a lot of questions about using Sherwin William’s ProClassic Interior Waterbased Acrylic-Alkyd or Benjamin Moore’s Advance Interior Paint. We have used both in the past, and here’s what we learned. When I first started out, I used Sherwin Williams. Mostly because it was readily available. It was a good paint and was easy enough to work with. I guess I think back on this early time as accepting what I was using because it was all I knew. It was kind of like in 2007 when you said you’d never join Facebook because it was stupid and only kids used it. After a few months the Benjamin Moore Advance paint became available and I decided to give it a try. It went on a little nicer than the Sherwin Williams ProClassic and most importantly it didn’t nick or chip as easy during the installation process. When spraying the paint, it looked noticeably better in my opinion. After a year or two, 2 Cabinet Girls had grown enough that the local McCormick paint store took notice and asked if we would like to try their paint. I had never heard of McCormick, but told them I would try it. They also offered some nice benefits, the best was free delivery. They came to the shop and spent an hour talking with me and finding out what I was doing. They suggested that I try their Interlock paint. To start off, I used my son’s bathroom vanity as the experiment and really liked it. It rolled and brushed much better that either Benjamin Moore Advance and Sherwin Williams ProClassic, and sprayed much easier. The finish is a cut above both and just like the Benjamin Moore Advance was an improvement over Sherwin Williams when it came to less touch-ups after installation, McCormick Interlock was the best. It seems to cure much faster than anything I’ve used in the past. In 2018 my local McCormick Paint store closed and I was forced to reevaluate everything all over again. This time I had years of experience and knew what was important and what wasn’t. I was lucky to have made a lot of contacts in the industry and talked with 6 or 8 different suppliers. In the end we went with a custom formulation that is only available to contractors. Many people don’t realize that any of the paint makers can match any of the paint colors. I have had people pick colors off a Sherwin Williams color wheel, Benjamin Moore color fan or even a paint chip from Home Depot or Lowes. All the color formulations are computer mixed now and there’s very little error in matching no matter where you’re getting the paint. Pick the color you want, then have your paint supplier match the color – it doesn’t matter where you have the color swatch from. Don’t limit your color choices. 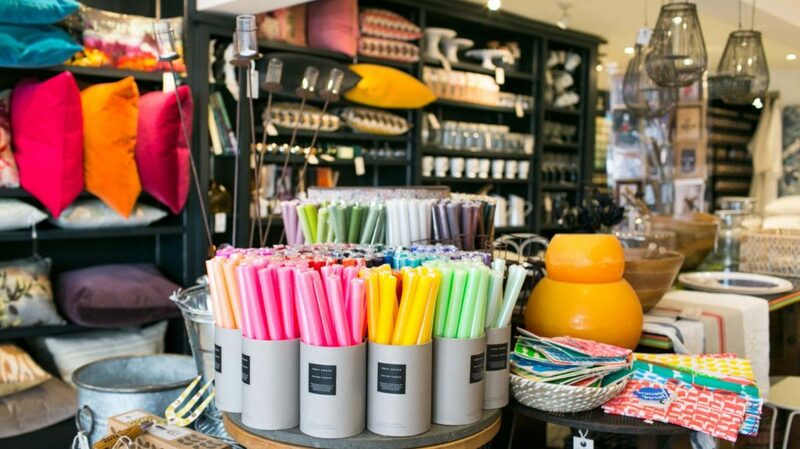 This beautifully colorful shop was one I visited in Rye, East Sussex, England. A good paint shop could match any of these colors for you.